Clicking on the icons below will NOT cause warts. At least, we don't think you'll get warts from our server. . . Anyway, the Amphibia include some familiar creatures: the frogs, toads, newts, and salamanders. Some not-so-familiar creatures, like the legless, burrowing caecilians, are also amphibians. As suggested by their name, which means "double life" in Greek, amphibians spend at least part of their lives in water; some are entirely aquatic. Click on the buttons below to find out more about the Amphibia. If you do get warts, please don't sue us. 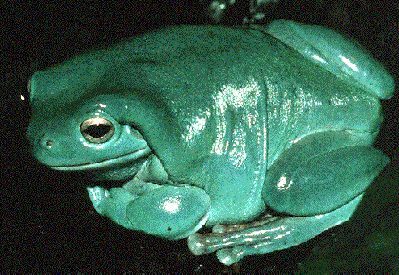 Many excellent images and information on living amphibians, including recorded frog calls, are available on the Web of Life maintained at the University of Michigan. Or for more fine images of living amphibians, visit TRITON.